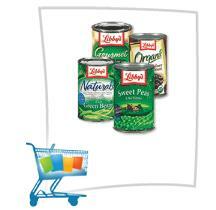 The Frugal Family Life: *HOT* $1/4 Libby's Vegetables Coupon! Hurry! Hurry! The *HOT* $1/4 Libby's Veggies coupon has returned! This one always goes very quickly so print it while you can! I'm not around a printer to double check that it's even still live, so let me know if you're able to print it!